Come enjoy spaghetti, meatballs, hot Italian sausage, meatless sauce, lasagna, tossed salad, garlic bread & a wide variety of homemade desserts, as well as drinks. 6:30 pm is the 50/50 drawing & immediately following is the 100+ multi-item raffle with all proceeds benefiting “Camp Easter Seal” (Camp Sno Mo) in Gilmanton, NH. Camp Sno Mo provides camping for handicapped / special needs children / young adults. Club Memberships will be available. Club Clothing will be available and orders will be taken. I had a nice time as did my wife, son, and my parents, the food was excellent! 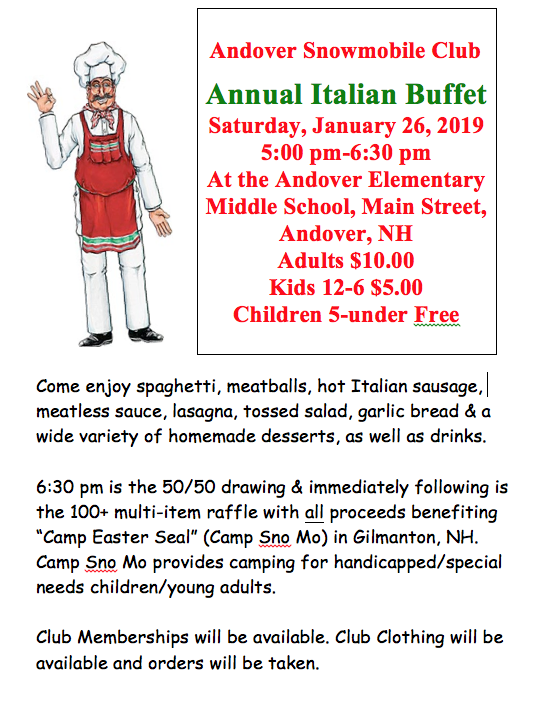 The Andover Snowmobile Club would like to thank everyone who came out and supported our annual Italian Buffet last night, and to AEMS for allowing us to use the school for the event. We had a great turnout, with well over 200 guests! 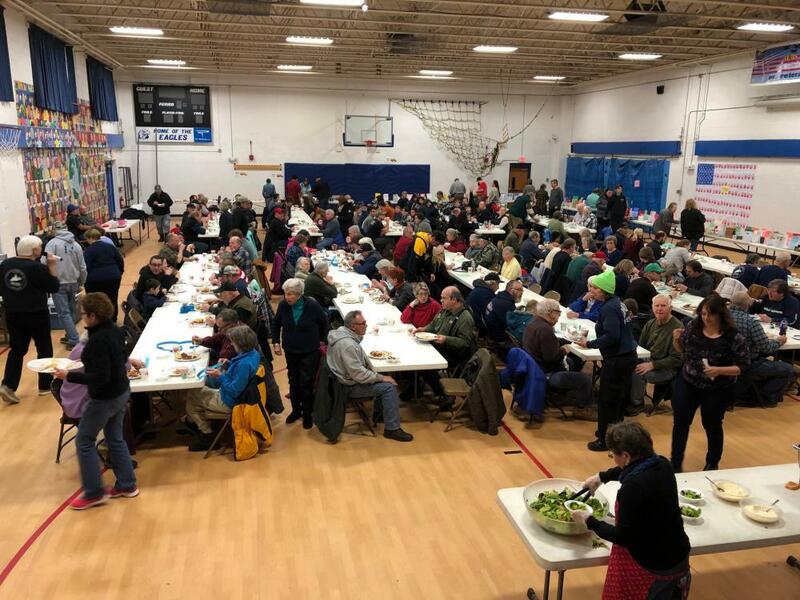 The dinner was a great fundraiser for our club, and the raffle tables made a record amount of money for Easter Seals Camp Sno-Mo which will be delivered to the Easter Seals Ride-In next weekend. Also, thank you to all of the volunteers that helped make everything happen. This event wouldn’t be possible without all of your support.